I forgot to mention in my last post on why I was doing a Little Women post. 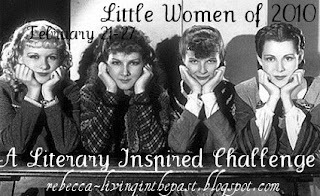 It is because there is a Little Women event going on this week hosted by Rebecca at A Young Lady's Blog. See the other entries for the event here.